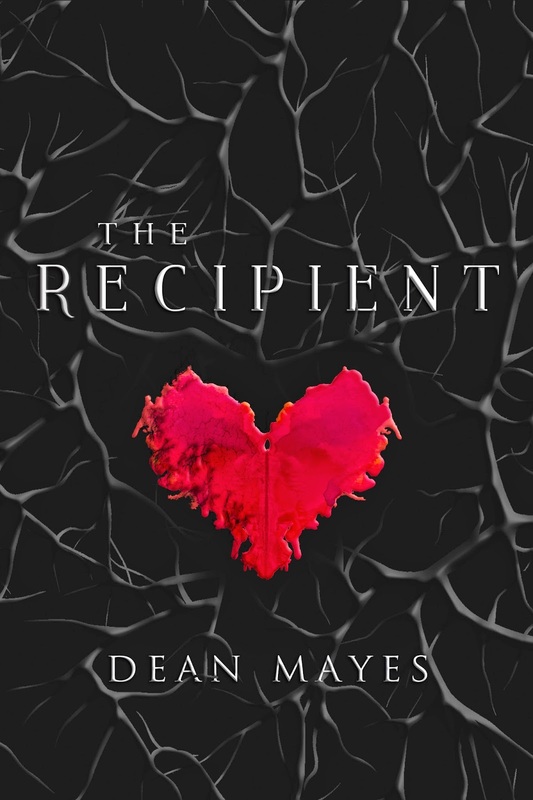 The following is an exclusive sneak peek from my forthcoming psychological thriller "The Recipient" which is due to hit bookshelves around the world on October 25th 2015. In this scene, the protagonist Casey Schillinge, is trapped in a nightmare that has visited her over and over again in the 3 years since her life saving heart transplant. Her body is grasped by a force unseen. It brings her into an upright position, then she feels herself descending. The heart beats faster, louder. Her naked skin twitches and shivers. Biting cold replaces the serene warmth. Clothing coalesces over her body: harsh denim that scratches her skin. A cotton, starched singlet that quickly becomes sopping. The wet clothing clings to her cold skin, and looking up, she realises it is raining. Her bare feet touch onto a hard surface and she looks down, seeing bitumen all around her. She is standing on a road, a lonely outback road in some desolate wasteland that is unfamiliar. She looks around her, searching for a landmark, something familiar that will identify her surroundings. Another disembodied flash lights up the sky nearby and thunder rumbles across the thickening clouds. In that moment, she sees a road sign—not on the road before her, but in her mind’s eye. The lightning reflects off it so brightly, the lettering is too difficult to interpret. Squinting in the fading light, she tries to see. ‘Laster…’, is all she can make out before darkness swallows the image. Searching around her, she tries to find the sign as it exists in her immediate environment. But it is nowhere to be seen. Eruptions of light flash from within the cloud mass above. Rain falls harder, denser. It splashes against her skin and runs sticky, viscous like honey. The thunder rumbles towards her again, carrying with it a deep, guttural moan that vibrates through her. Her breath quickens. For the first time, she is compelled to move. She turns, stretches her legs, tries to run. But gravity bears down, making movements incredibly heavy. A flash of light erupts and in the moment of disorientation that follows, she witnesses something: a scene from her mind plays out in front of her. A lone figure, shrouded in shadow, stands there—an evil presence. Unnaturally tall, masculine but unidentifiable in the dissipating flash. The low moan approaches, gaining in volume and pitch. It is filled with torment and pain. The shrouded figure steps forward and slaps her with an outstretched hand. She crashes heavily to the road, opening wounds in her shoulder and legs. She cries out, but it is a silent cry. She tries to get to her feet but slips on the slick bitumen that streams with the falling rain. The figure pounces, pinning her body to the road. She feels her hands being lifted above her head in the grip of the stranger who remains shrouded in darkness. Again, she cries out in pain as her hands are shoved against the road. The figure sits back on its heels. With its free hand, it reaches out and hovers over them both for a moment. Then, balling it into a fist, the figure smashes it down, striking her chest with all the force it can muster. She screams in horror as pain blossoms through her entire body. The thunder and the moan meld into what is clearly a female voice. It cries out in terror. Is it her own voice? The hands disappear into the cavity in her chest. Her fractured mind is inexplicably curious, despite her terror. She struggles against the grip of the figure. The bitumen tears at her skin as she flails impotently. The hands of the figure squelch about inside her. The moans grow more shrill now. They are wails. They are screams. 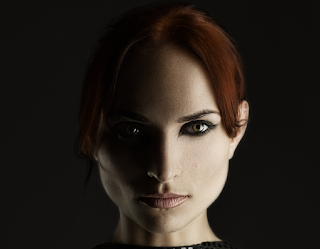 The viscous rain turns a deep, ruby red and she tastes the metallic flavour of blood. She lifts her head skywards. The sky is bleeding. The screams become unbearable and in that moment, she realises that, it is she who is screaming. The hand retracts from her chest and hovers above it. The assailant leans forward to show her the contents within. A disembodied cackle rips through the air, swallowing the horrified screams. Rivulets of crimson course down over a masculine jaw. She is consumed by terror. Drenched in blood; too paralysed to move. Then, suddenly, she is free. She is now standing a few feet away from the figure, yet it is still straddling someone underneath. She looks at her hands, blinking at them incomprehensibly. She cannot understand. She wants to turn and run but the figure’s silent magnetism holds her in thrall. The figure turns its face towards her, but the darkness shrouds its features. The figure beckons with what is held in its hands. She leans forward to see. 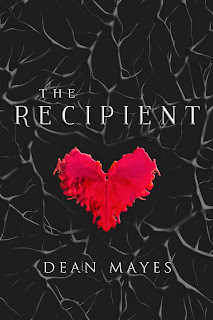 "The Recipient" Copyright © 2015 Central Avenue Publishing & Hambledown Road Imprints.